our emphasis is on quality and personal service. We make the finest and most elegant lever harps available. We offer 5 models to suit the needs of the player, including the beginning student, the therapeutic musician, the Irish player, the teacher and the professional entertainer. All of our harps have 34-36 strings because that's what we think is the optimum range of a lever harp. You will find a warm, well defined bass and a brilliant, clear treble that will encourage your playing and enhance your sound. 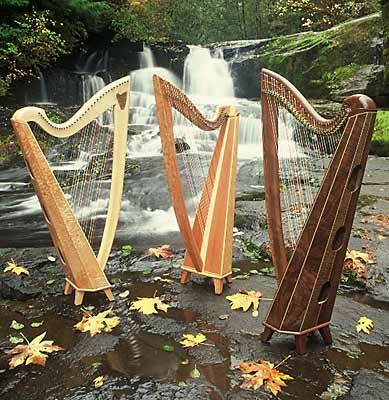 After you wander through the pages of our website*, please call us to discuss what you would like in a harp. We look forward to hearing from you. *Look for this sign at the bottom of each page of our website and it will take you on a tour that will get you through the main pages of our website. There are several side trips along the way that will give you even more information on a variety of topics. After checking out this home page, we recommend starting your tour by going to the models page. "I want to take a moment to thank you for taking the time to answer questions and to provide referrals. I know you sell a lot of harps and it would be easy to blow off dithering potential clients, of which I'm admittedly one. We consumers often complain when things go wrong but forget to express our appreciation for good customer service. I truly appreciate the kindness and patience you've shown, and you can bet I'll factor that into my decison making." With a Thormahlen Harp, winning happens! 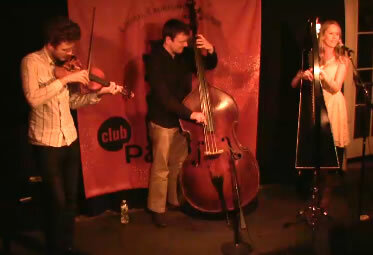 Annalee Foster, from Oregon, won the 2010 All-Ireland Harp Championship playing her Koa Ceili-Mor. 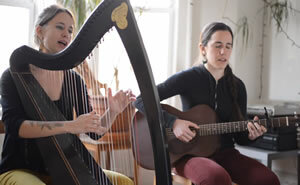 There is an interview in the Winter 2010 Folk Harp Journal that you can read here. Want to see our Harp #1 from 1983? Check it out here! 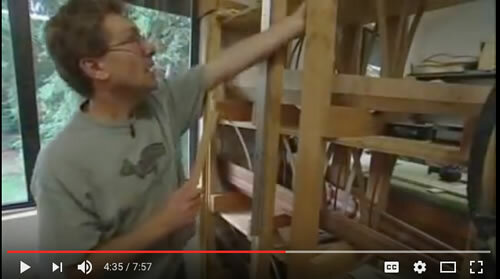 The above video is an 8 minute Oregon Public Broadcasting Art Beat program about Thormahlen Harps with interviews of Dave and Sharon, and footage of them working in the shop. 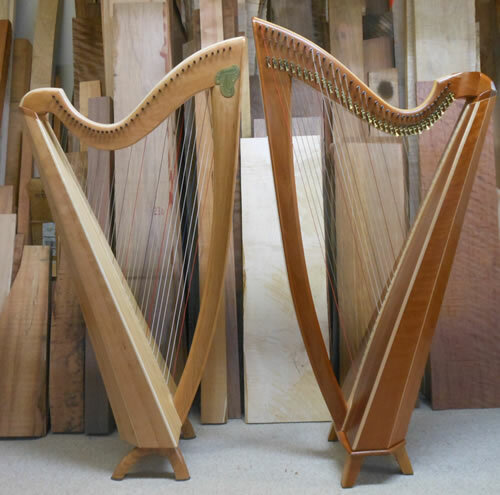 We also have videos where you can listen to a variety of harps and woods, hear some of our customers talk about their Thormahlen Harp experience and see a fun music video. The Ceili was not yet conceived when this video was done, and we are sorry that it is not included. You can See All of Our videos online or if you'd rather watch them on your television with your family and friends, please call or email us for a free DVD. 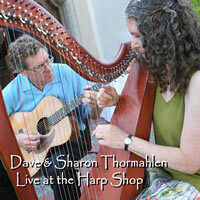 What's New at Thormahlen Harps? 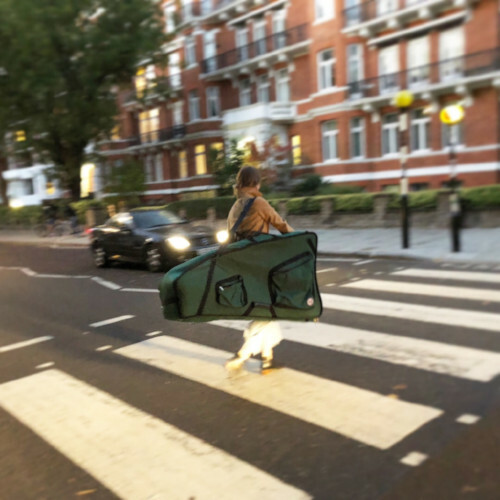 Thormahlen Harps have now been to Abbey Road Recording Studio with Maeve Gilchrist where she recorded some music for the up and coming How to Train Your Dragon 3 movie. I havet seen all 3 movies, and they are delightful! The harp in #3 is a little subtle but the harp was important at key moments in the film and it was a delight to see her name in the credits! We have made over 1450 instruments!!!!! After over 30 years of building our Swan 36 harp, we have redesigned it making it a little smaller and making the low bass wires easier to reach. Below you can see the new Swan on the left and the old Swan on the right. To see this picture bigger, go to our SwanCygnet page.